Intended to greet you upon first entering a home, the Entre design is simple elegant and based upon Kai Kristiansen's carefully considered cumulative and infinite proportions. Kai's love of math and engineering are demonstrated perfectly in Entre. 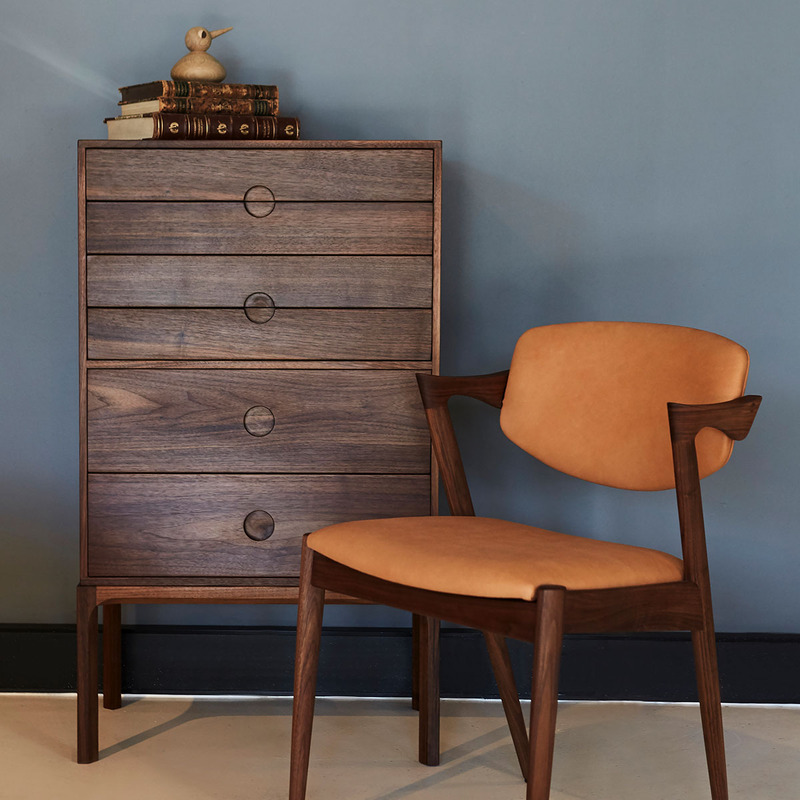 The first release of the Entre range at Great Dane consists of three styles in American walnut and European oak. We are excited to launch this world-wide exclusive alongside our dear friend Kai Kristiansen. Entre 3B walnut consists of six drawers.